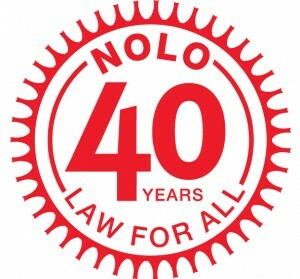 As we approach our 40th birthday, we’re looking back–not just at our own past, but at milestones in America’s legal history. The patriotic team of lawyer-editors here at Nolo have named what they consider the greatest legal documents in American history. They’ve carefully chosen the 40 speeches, 40 documents, 40 laws, 40 landmark Supreme Court cases. Our collection marks key moments in our nation’s infancy, like Patrick Henry’s stirring “Give Me Liberty or Give Me Death” speech and the monumental Federalist Papers. The collection also spotlights crucial steps on the path to equality, such as the landmark Brown v. Board of Education decision and the groundbreaking Civil Rights Act of 1964. Nolo Loves Librarians (and Vice Versa)!